IV Pump- Pressure Decay Test - Zaxis Inc.
IV Pump. Cassette Pinch Sealing Fixture. Contact us today to find the right solution for your needs. 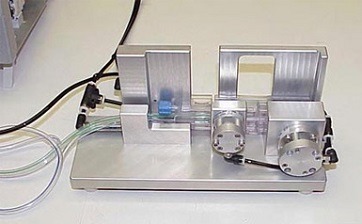 IV Pump – Cassette Pinch Sealing Fixture. Our in-house 3D modeling staff and machine staff developed this cassette pinch sealing fixture to allow a customer to efficiently and consistently test its IV pump components for air and pressure leaks. Zaxis is dedicated to providing you a comprehensive solution for your leak testing needs. Please reach out to us or download some literature to learn more about our applications and products. 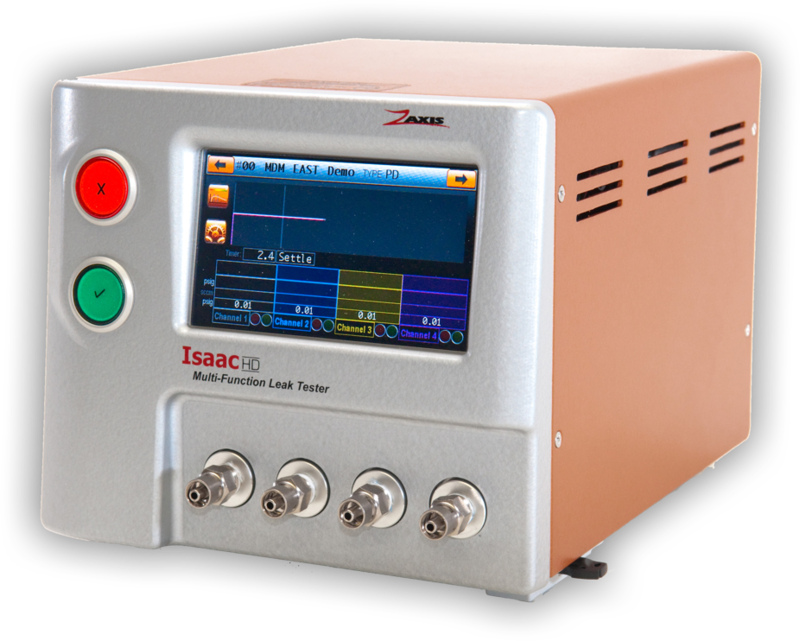 The Isaac HD air leak tester offers a large full-color graphic display and outstanding signal processing for unparalleled test stability and repeatability. To learn more about our Isaac HD air leak detector, download the Zaxis Isaac HD Datasheet or contact us to put Zaxis’ leak detection expertise to work for your business. For more info about Zaxis products and applications visit our download page.